What is it in Homer's Odyssey that has so enthralled readers from around the world for thousands of years? By joining Professor Vandiver for these 12 lectures on the Odyssey, you'll find out why. This literary exploration centers on a single provocative question about the epic poem's protagonist, Odysseus: Why does he long so powerfully to go home? To probe the depths of this question, you'll embark on meticulous, insightful examinations of the most important episodes in the Odyssey. 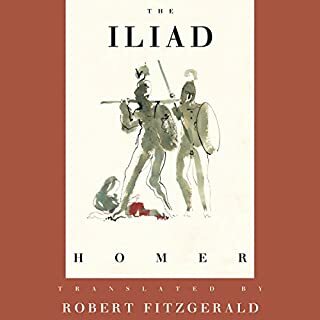 In doing so, you'll understand the cultural assumptions that lie behind Homer's lines and the critical and interpretive issues involved in truly unpacking this ancient masterpiece. 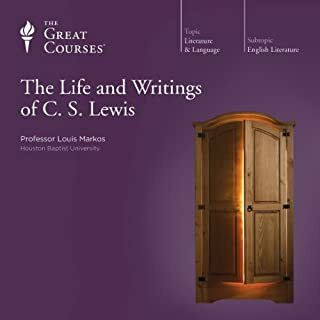 Among the range of episodes, themes, and topics you'll explore are: Odysseus's superb skills as a rhetorician; the abrupt break in the text at the end of the "Great Wanderings" episode, when the poem briefly returns to the third-person narrative; Penelope's knowledge and motives as they relate to the inevitability of her suitors' doom; the effectiveness (or possible lack thereof) in the poem's ending; the historical basis for the Trojan War from which Odysseus returns; and more. For anyone who's loved the stories of Odysseus's encounters with witches, monsters, and vengeful gods; for anyone who's longed to truly grasp the intricate nature of Homer's epic; or for anyone who has been looking for ways to approach a work that can often be intimidating to first-time readers, these lectures are an invaluable resource and a helpful introduction to the grandest adventure story in Western literature. The tragic adventures of Odysseus after the Trojan War takes him all over the place, and includes flashbacks for the parts of the Trojan War that happened after the Iliad, as well as his encounters with a Cyclops, a sorceress and divinities all over the place. 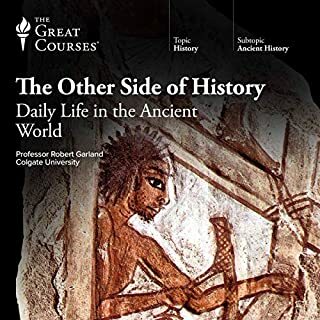 If you decide to listen to this course, be sure to listen to the Iliad (same Professor) first to get the best experience. In a way, it could be considered a prerequisite. 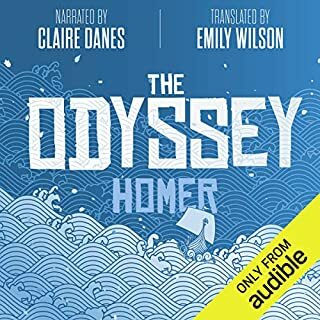 Would you consider the audio edition of The Odyssey of Homer to be better than the print version? I really enjoyed both this and The Iliad. The professor is knowledgeable and fleshed out the story. But she retained the sense of wonder at the enormous achievement So much of Homeric studies have lost the amazement at wonder at an amazing work of literature by focusing too much on the mechanics of who and how. But it is very obvious that this and The Iliad were one course. 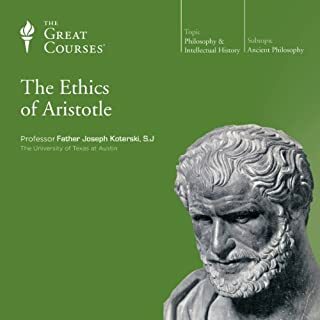 She references back to things form the previous course and does not include the introductory lectures on Homer, which are necessary. And she refers to it as a Homer course. I did listen to The Iliad first so this was no loss for me but if you don't then you are losing something. More importantly a very obvious way to scam credits off of people by Audible. Professor Vandiver explains the Iliad with so much understanding, respect, and admiration that I imagine she is carefully showing me every wondrous aspect, largeband small, of the world's finest diamond. She is one of the finest professors I have ever had the privilege of learning from. What did you love best about The Odyssey of Homer? As usual, Vandiver rocked it. I cannot imagine reading such great works as the Iliad and the Odyssey without her courses. Her lecture on the Odyssey once again gave vital context to the epic story, helping me to have a deeper, richer experience with it. The Odyssey is an amazing story, and understanding its underpinnings with the help of a Classics scholar is a true gift. Any writer craves, even at a deep unconscious level, to crawl back to the origins of story...the glorious archetypes that are the deeply buried skeletons beneath the flesh of our own ideas...to understand them and let their power awaken in us. Vandiver peels back every layer and helps us to see every shimmering dimension. Dr. Vandiver gives an excellent overview of the story of the Odyssey and the world of Homer. I highly recommend this for anyone who is interested in the subject. I've studied Homer at the undergraduate and the graduate level and still found wonderful insights. 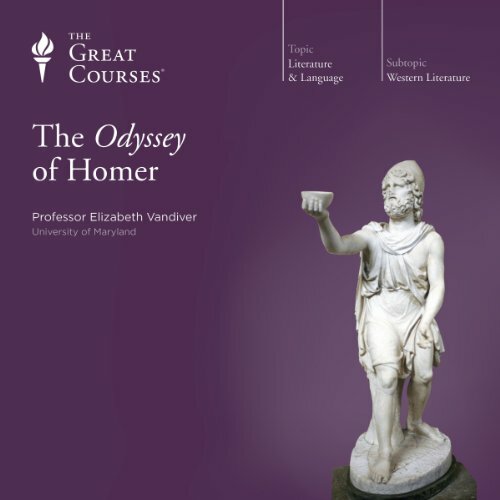 I love The Odyssey, and this lecture series is a wonderful companion piece for understanding. The professor is so learned. The 3 lectures on Homer and Virgil are compelling and informative. Worth listening to twice. 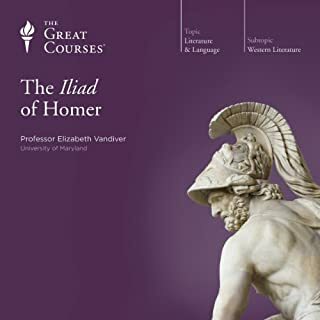 I have listened to both Vandiver’s lectures on the Iliad and the odyssey and I thoroughly enjoyed both of them. I remember reading homer in HS, this commentary would have made everything so much more interesting and meaningful! I’ve decided to listen to the prof’s other lectures too. Elizabeth Vandiver has an approachable yet thorough approach to her subject matter. Pulls out some of the key themes and moments over the course of 11 hours of lectures. Places The Odyssey in context. Summarises the plot and explains historic importance of this work. Knowledgable lecturer.